In contrast to the monochromes of our last post and today’s Isaac-leaden skies, here are two shots with a little more color. 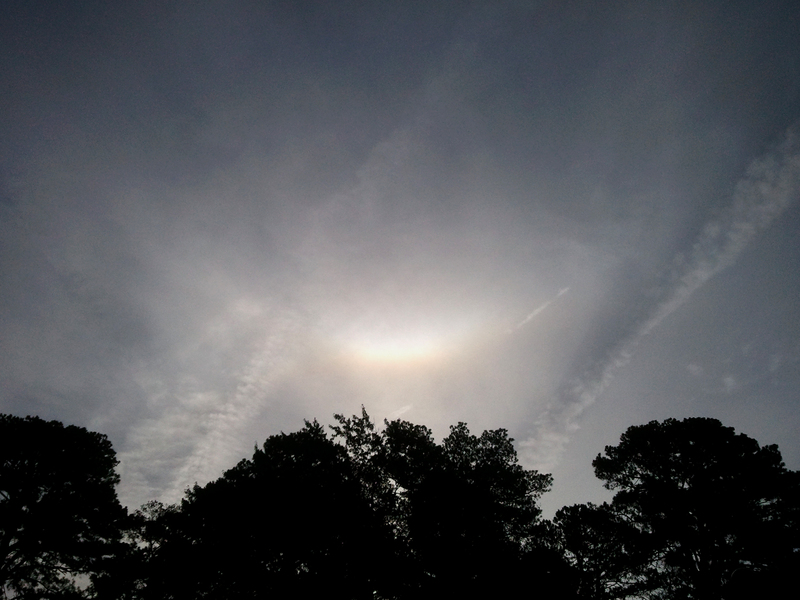 HIGH ALTITUDE HALO — Ice crystals form a shallow rainbow arc in the sky before Isaac arrives. 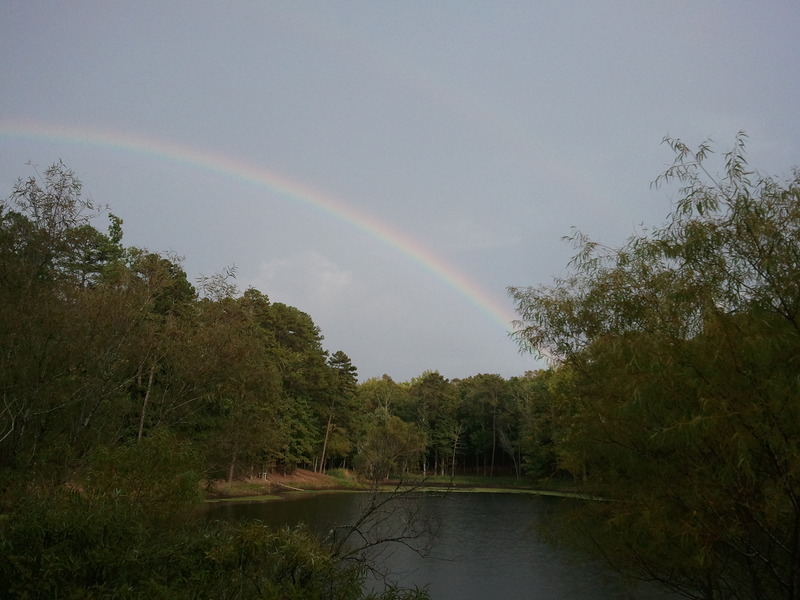 MONDAY RAINBOW — Rainbow gleams after a cloud showered commuters on the Monday ride home earlier this week. 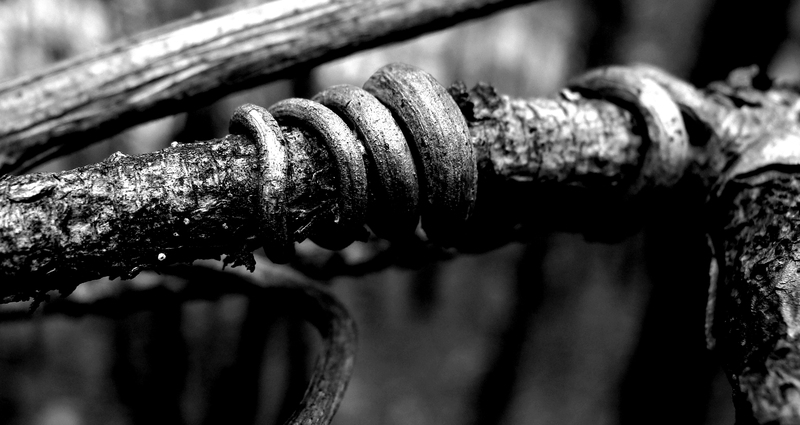 Wild grape tentacles steady the vine as it threads through the limbs of a pine tree. Arkansas 291 winds across beautiful rolling country that’s home to ranch and forest land in Grant County, south of Little Rock. It’s a place where straightforward talk is expected. Apparently this applies to the highway signs too. 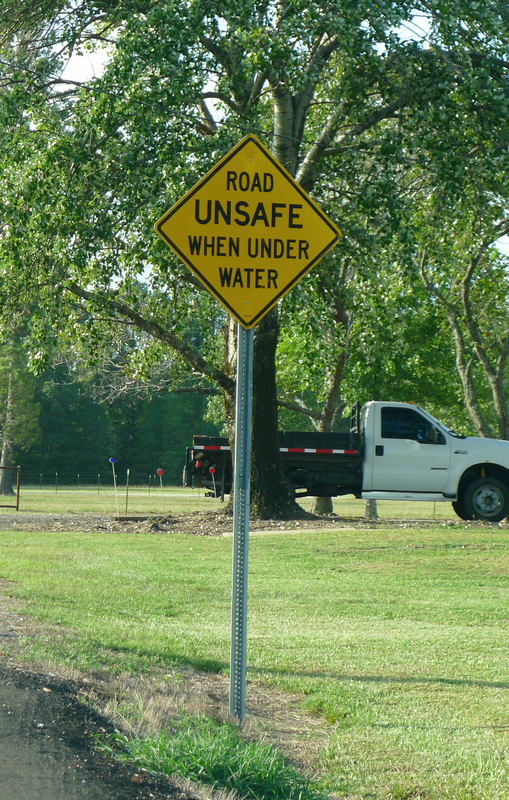 WARNING — If you see cattle floating by, you know it’s time to heed the sign. Built in 1931, the ballpark that would be known as Ray Winder Field hosted generations of Arkansas Travelers fans out to see the “Greatest Game on Dirt.” It was creaky and leaky and as friendly a professional baseball experience as one could want. Ray Winder was a place to see folks like Bernard Gilkey, Ray Lankford, Geronimo Pena and Mike Perez before they moved up to the majors. Ray Winder Field was more than just great AA ball. 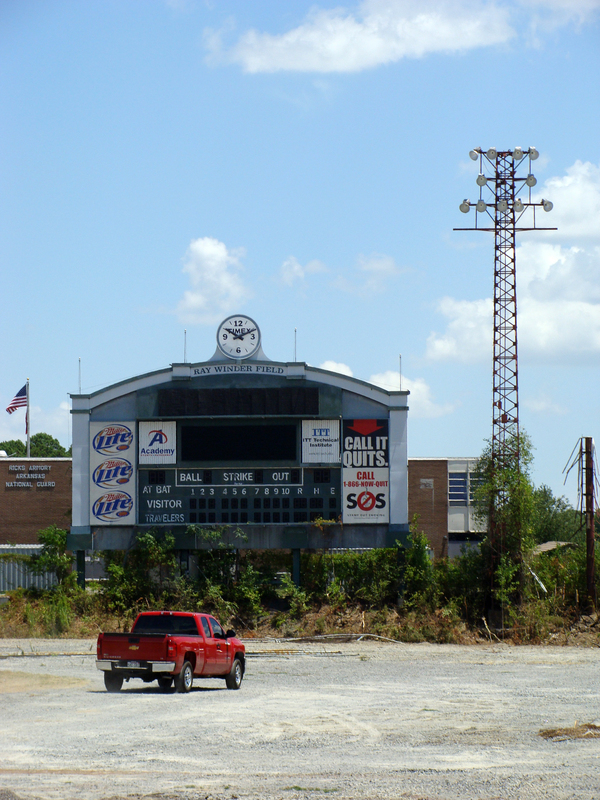 It was a place to see the late Max Patkin, the clown prince of baseball; or to watch kids and adults race Shelly, the Travs’ mascot, around the bases. And of course, who could forget The Puffy Taco Man mascot when the San Antonio Missions were in town? Then there were the regulars: sportscaster and all-around nice guy Jim Elder, Alfreda Wilson, who for 35 seasons rallied fans and players with her organ playing; and of course, former General Manager Bill Valentine. A former major league umpire, Valentine is one of those larger-than-life people who lent Ray Winder Field more of the character that made it such a welcome place for fans and families in Little Rock. 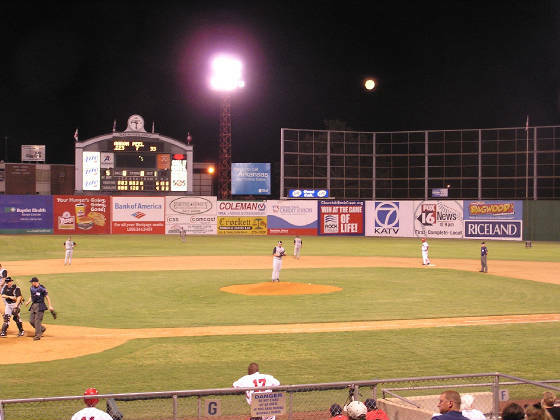 The Travs played their last game in Ray Winder in 2006, moving to a shiny league-spec venue across the Arkansas River in North Little Rock. There was much wrangling over what to do with the old field. One proposal called for it to become a new elephant enclosure for the neighboring Little Rock Zoo. Another called for it to become a parking lot for the University of Arkansas (for) Medical Sciences. Its fate was sealed when the City of Little Rock sold the park to UAMS for $1.3 million. CALLING IT QUITS — Rubble, a light stand and the scoreboard are the few signs there was once a beautiful ball park here. Photo taken July 17, 2012. Blogging takes thought. Blogging takes time. Blogging takes commitment. How much time do you spend creating each post? How much of your day do you spend reading blogs (WordPress or otherwise)? 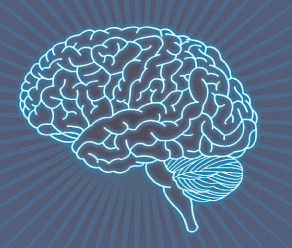 How often, or how much time, do you spend thinking about your next post? Do you have an editor read behind you? As a blog reader, what draws you in to a blog entry? Words? Photos? Other artwork? Is blogging primarily a weekend/holiday gig or do you blog anytime? Is blogging part of your job? For those who take part in weekly challenges of any sort, how much time do you spend meeting the challenge? 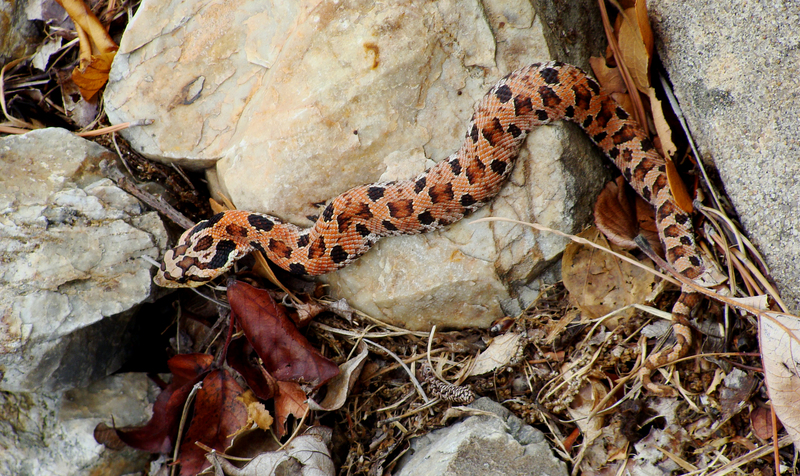 WARMING — A young hognose emerges for a bit of a warmup after hours of cooling thunderstorms. 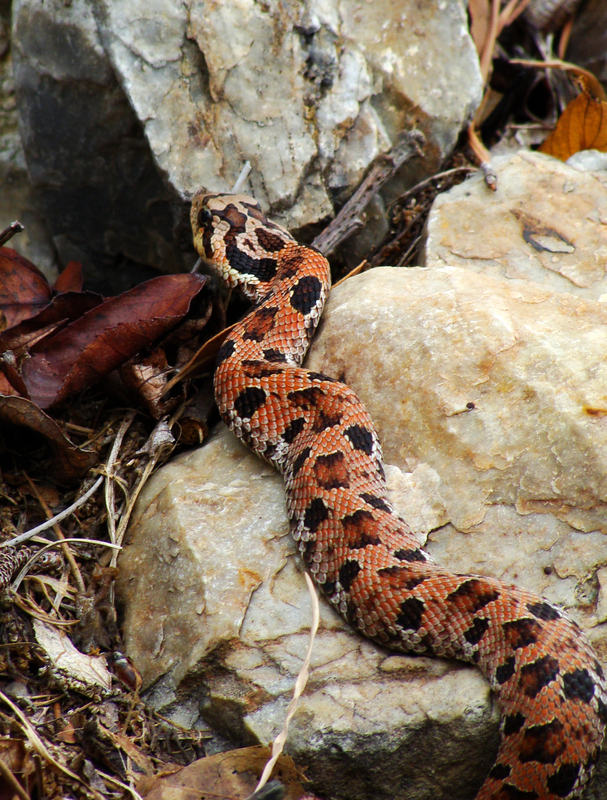 SCALING THE ROCKS — Hognose eventually wound his way back into his lair. 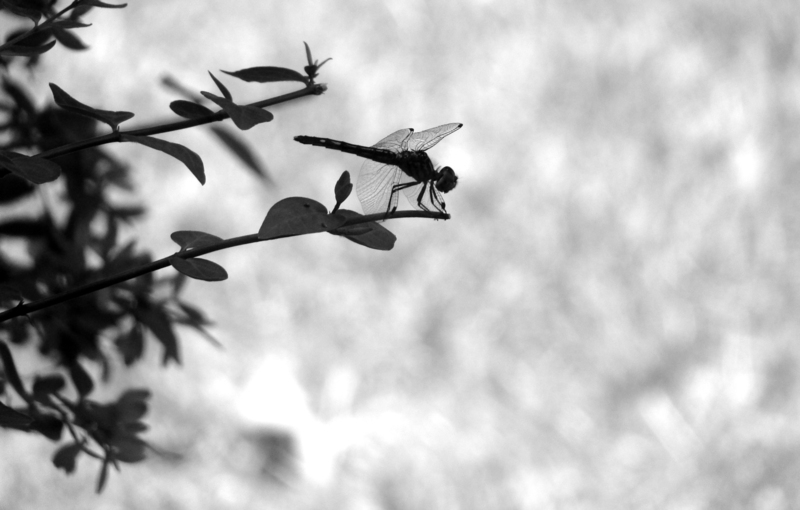 There is something lovely and delicate, yet so primitive about dragonflies. Oh to see one of their Permian ancestors, the meganeura, with their 2-foot wingspans. Today’s dragonflies happily dine on mosquitoes. Considering their non-vegetarian leanings, perhaps it’s best the meganeura are admired from a safe distance in time. 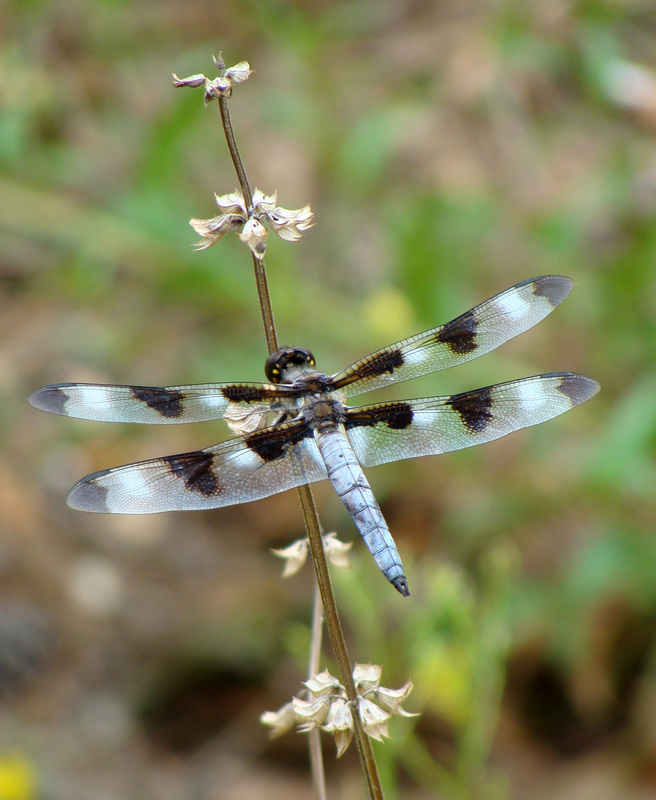 TEN SPOT SKIMMER — Rests near a parking lot catch basin. PROFILE — Dragonfly camps outside the office window. 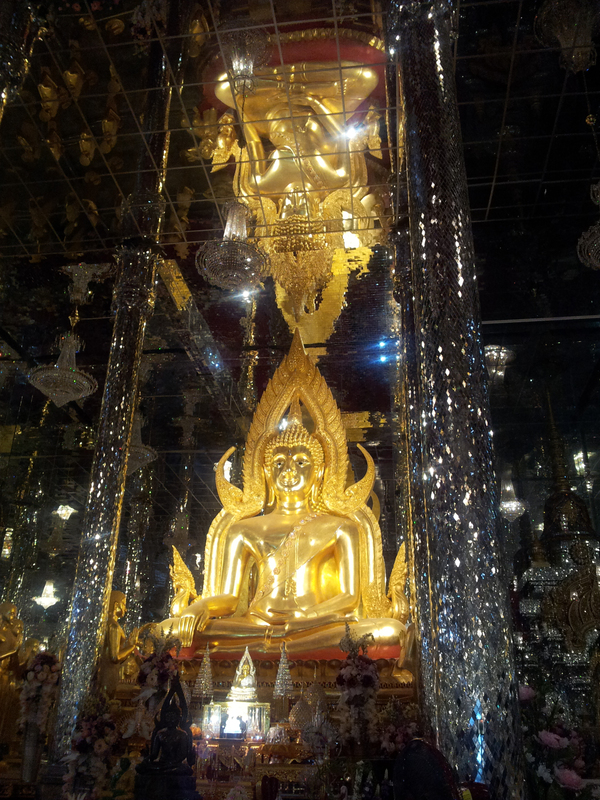 Last week, cousin Chooman made the three-hour trip out of Bangkok to the Uthai Thani province to hear the preaching of a revered Buddhist teacher — one who not only taught her to meditate, but also her mother and late father. That journey, in a way, is a facet of this week’s theme. 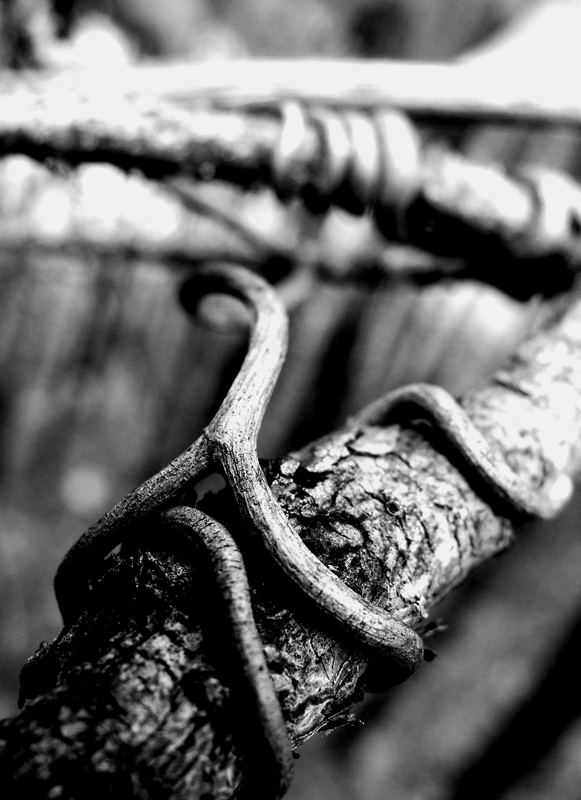 After all, what is a pilgrimage but a merging of belief and action? Random midweek thought: If it’s older than dirt, is it ante-matter? The rather violent movement in the formidable pokeweed downslope from the house caught our eye and camera. The resulting shot made us think of Michael Martin Murphey’s mid-70s hit “Carolina in the Pines.” Except, it’s more like “Pileated in the Poke,” just not as melodic. 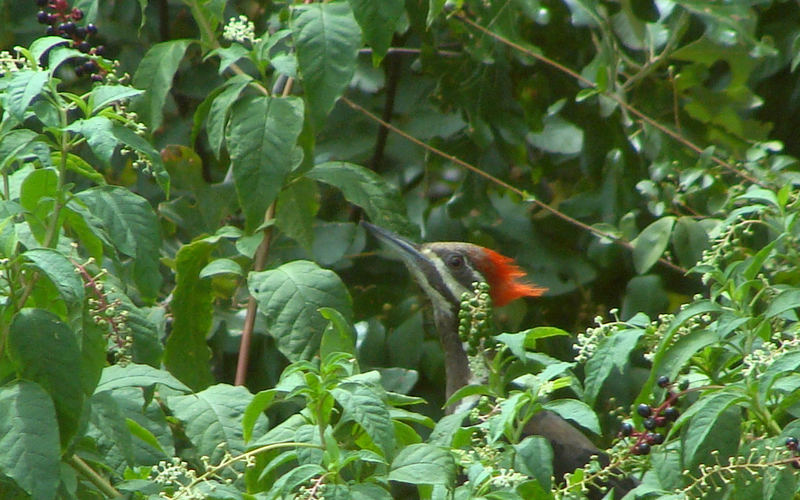 PEEK-A-BOO WOODPECKER — Pileated woodpecker was thrashing away in the poke sallet, wresting berries from their stems. The pokeweed has been very popular this drought year with deer browsing the leaves off the bottom three feet of stems as well as the cardinals and other birds who make use of the berries.